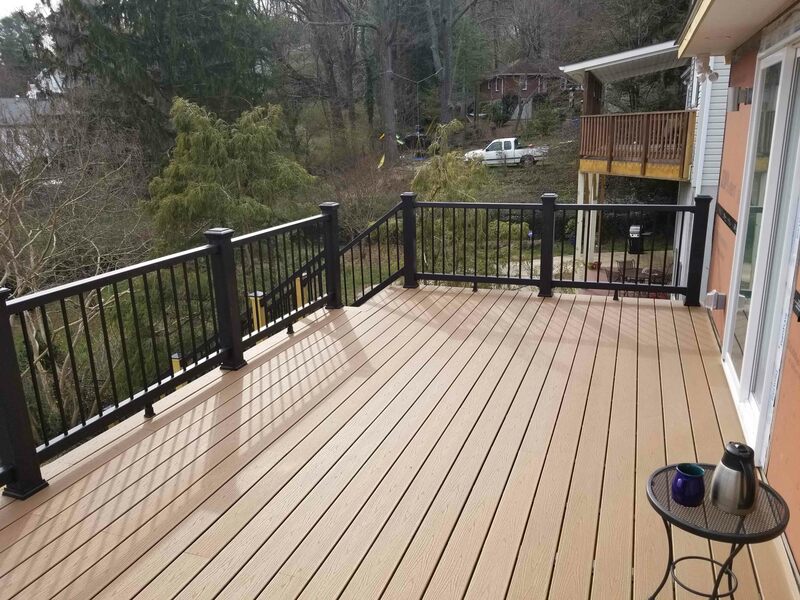 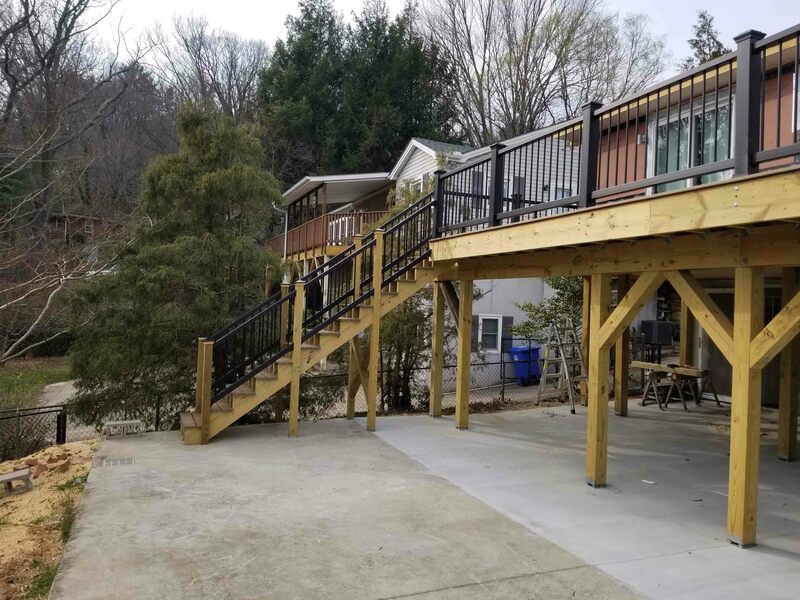 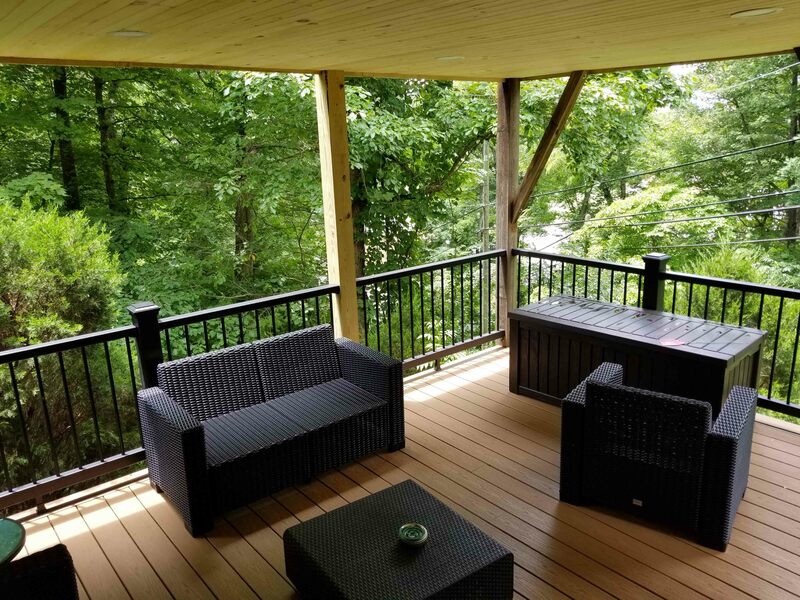 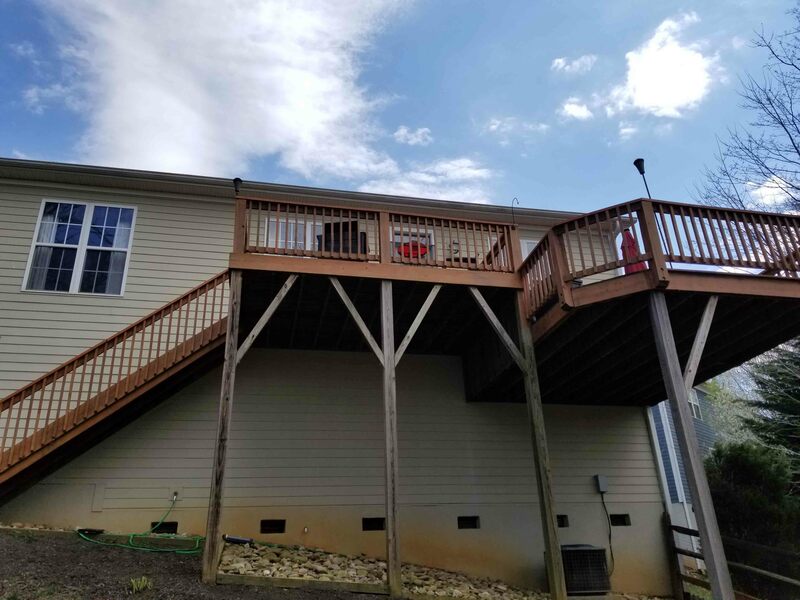 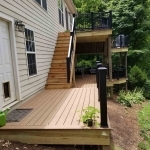 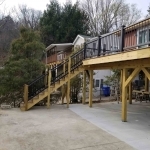 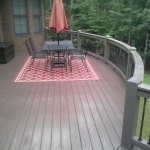 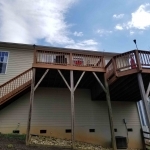 At Installations Unlimited, we are proud of the high-quality composite decks we build for our customers in the Asheville, North Carolina area. 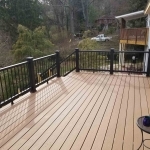 As you can see from these photos, composite decks have come a long way in recent years, as they are now available in high-definition wood grain patterns and a variety of both natural and bold colors. 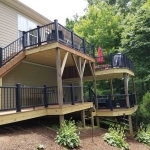 Not only are they made from recycled material, but they are also more durable than wood and resistant to staining, scratching, insects, and mold. 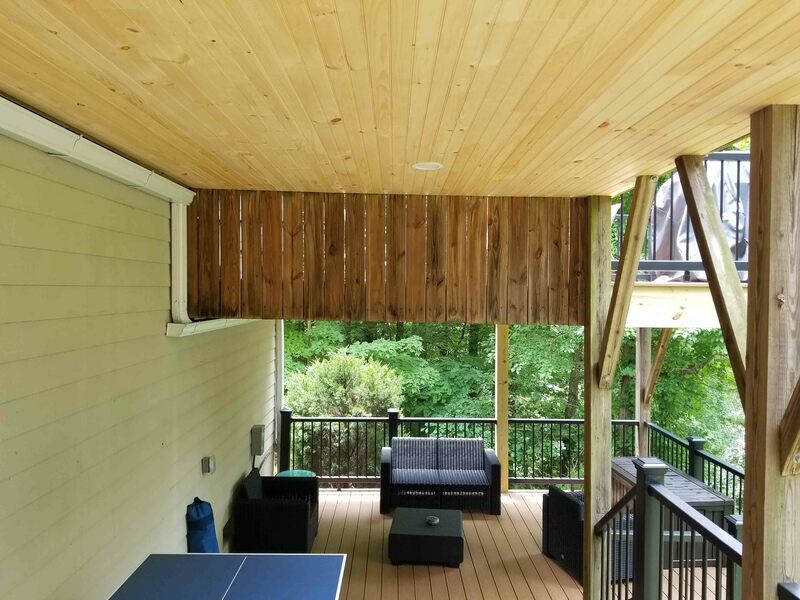 They also won’t crack, splinter, or warp. 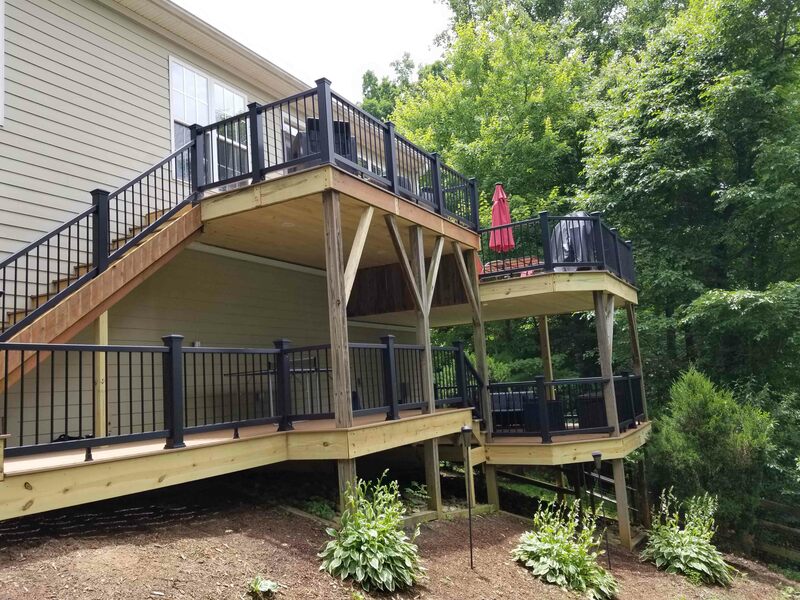 You may think a composite deck would be high-maintenance, but the opposite is true– you never have to worry about sanding, staining, or painting our composite decks! 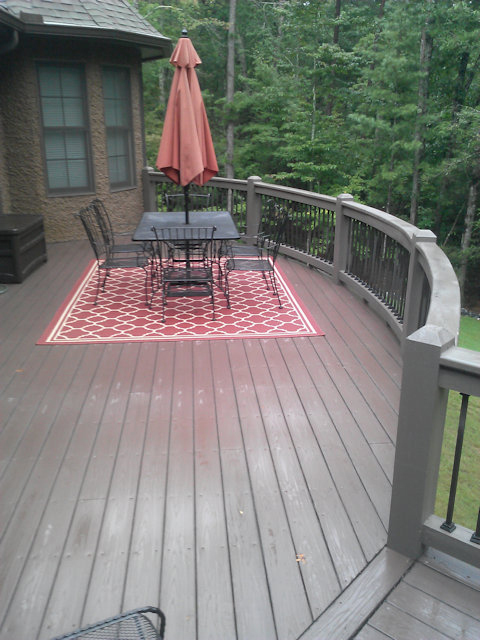 Just pressure wash with soap and water occasionally to maintain your deck’s beauty. 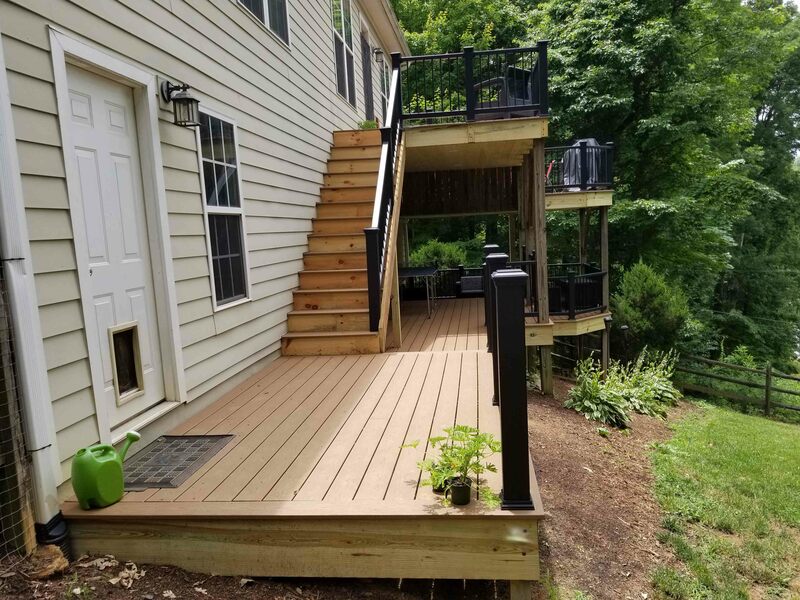 While the initial cost of composite decks is higher than some other types, you’ll save on maintenance and get a much longer life from your deck. 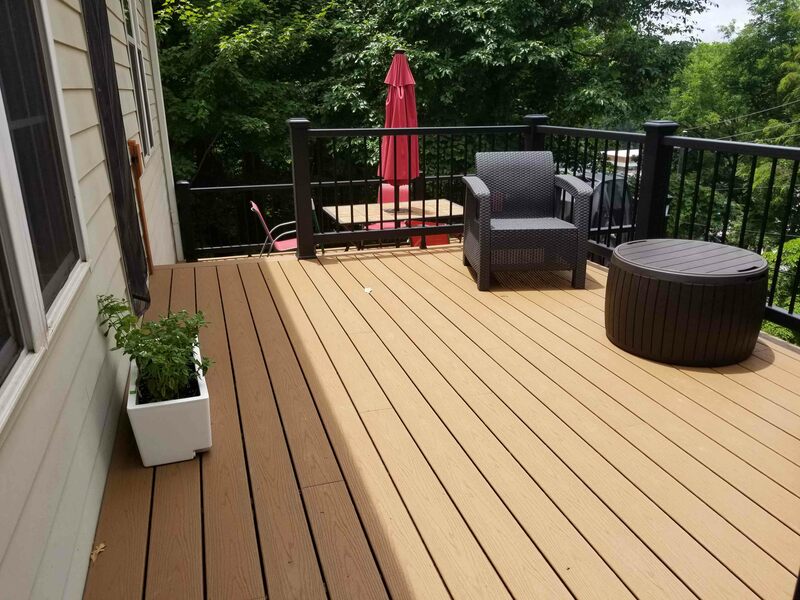 Many composite deck materials have great warranties, so you won’t need to worry about replacing yours anytime in the near future. 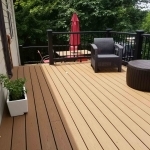 If you’d like to learn more about composite decks or schedule an estimate, please contact us today!